I like waffles as much as the next guy. I’m always more interested in how they taste than how they look. They can be missing a few of the little squares and I’ll still eat them. Recently, a waffle iron turned up that looks like the Captain America shield on the outside. On the inside, the prototype waffle maker has a shield design with a star in the middle. 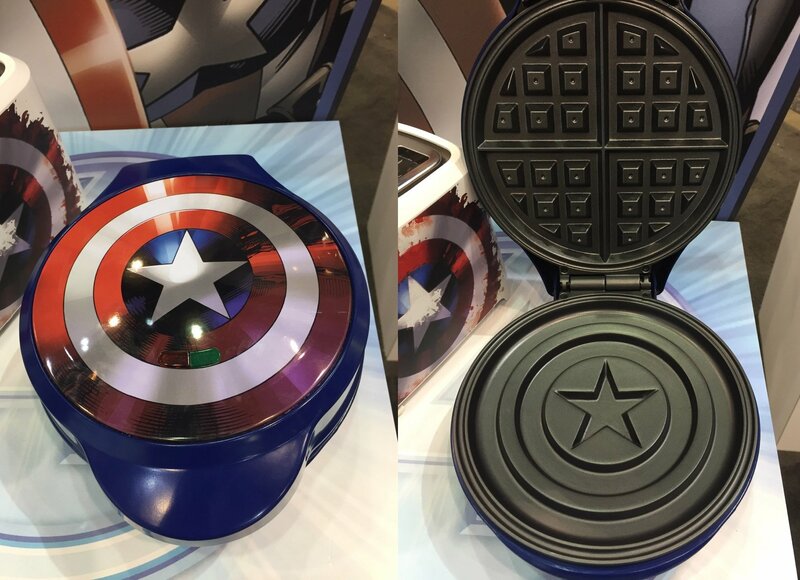 When the waffles come out, they look like Cap’s shield on one side. Robert Downey Jr. ran across it and wanted to know why someone hasn’t made an Arc Reactor waffle maker yet. That would be cool. We need an arc reactor, Hulk fist, Ant Man, and other Marvel waffle irons. The downside is parents with kids who love superheroes will end up having to buy a slew of waffle makers.